2011 May 04KDT Optometry – Excellence Is The Only Option! | KDT Optometry - Excellence Is The Only Option! MedPage Today (5/2, Neale) reported that “exposure to secondhand tobacco smoke appears to be associated with higher blood pressure in boys,” according to a study presented at the Pediatric Academic Societies meeting. 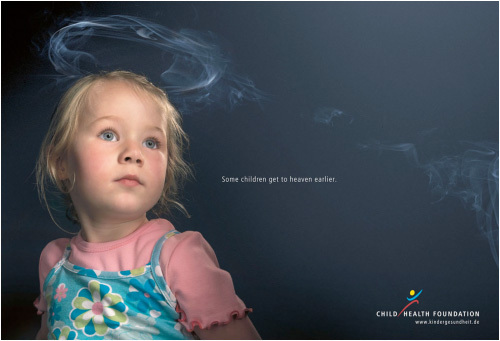 HealthDay (5/2, Dotinga) reported that investigators “analyzed statistics from four national studies conducted between 1999 and 2006, focusing on the exposure of 6,421 children to secondhand smoke.” The researchers found that, “compared to boys not exposed to secondhand smoke, boys aged 8 to 17 who were exposed had significantly higher levels of systolic blood pressure.” The investigators found, however, that “girls who were exposed to secondhand smoke…had lower blood pressure readings than those who weren’t.” The UK’s Daily Mail (5/2) also covered the story. We will be filming our third episode for VietNewsTV this Friday May 6. Our special guest will be Dr. Hoang Ho, who is the owner/optometrist of Healthy I Care Optometry located inside the Walmart in the Clairemont area. Dry eyes: Artificial tears and Omega 3 fatty acid. Retina: Supplements for ARMD, Glaucoma, DM, HTN, and other supportive components for normal healthy tissues. An emphasis on OPC-3 will be discussed. OPC, a 3-letter acronym for Oligomeric Proanthocyanidins Complex, is commonly known as super antioxidant, 20 times stronger than Vitamin C and 50 times stronger than Vitamin E. An OPC supplement in isotonic form has been proven to be the most effective for absorption in the human body, and to be the most popular in the OPC consumers, if the OPC complex is derived from a combination of 3 natural product extracts – pine bark, grape seed and red wine extracts. OPC Antioxidants are considered the best antioxidants available to humans. Derived from grape seed extract, pine tree bark and other sources, OPC Antioxidants are a powerful mixture of all natural, free radical neutralizers that provide a plethora of health benefits including increased circulation and blood flow, improved cardiovascular health and improved brain function. It can even help reduce stress, reverse the aging process and offset symptoms and ailments resulting from serious diseases like Diabetes, Multiple Sclerosis and Macular Degeneration. Getting started right with your contact lenses involves going to a doctor who provides full-service care. This includes a thorough eye examination, an evaluation of your suitability for contact lens wear, the lenses, necessary lens care kits, individual instructions for wear and care and unlimited follow-up visits over a specified time. Carefully and regularly clean contact lenses, as directed by your optometrist. Rub the contact lenses with fingers and rinse thoroughly before soaking lenses overnight in sufficient multi-purpose solution to completely cover the lens. Use only products recommended by your optometrist to clean and disinfect your lenses. Saline solution and rewetting drops are not designed to disinfect lenses.